Partner with a national icon. Maintain your independence. The Sinclair Licensing Program offers all the benefits of one of the world’s most recognized brands – even if you’re outside our supply footprint. We have a reputation in the industry for being easy to work with, and there’s a reason for that. Iconic brand. Fresh, new brand image based on one of the industry’s most iconic symbols, the Sinclair dinosaur. Affordable. Licenses are surprisingly affordable, and you get all the benefits of being part of the Sinclair family. Credit card network. We offer one of the best credit card networks available, with very competitive rates and low transaction fees. 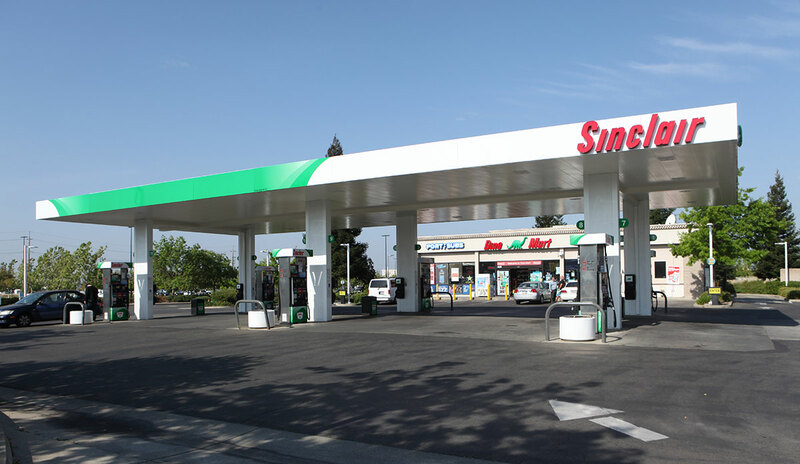 The Sinclair Green Card creates exceptional loyalty and allows you to offer savings at the pump. Customer support. Enjoy clear brand standards with easy-to-follow compliance guidelines and an expert team that supports you every step of the way. Strong brand affinity and customer connection. Customers love Dino, which leads to more volume at the pump, more traffic to your store, increased profitability and increased credibility with dealers and investors. Family-owned for over 40 years. Sinclair is a family-owned and operated business with a family-owned mindset. It’s easy to do business with us because we see our customers as a part of that family. *License program available to distributors outside our supply footprint. I’m interested in Sinclair licensee opportunities. Find out how Sinclair can partner with you. Want to sell DINOCARE™, our TOP TIER™ Gasoline?